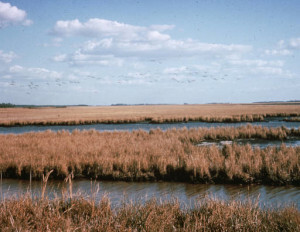 The woods, wetlands, waterfowl, and wildlife of Blackwater National Wildlife Refuge (NWR) near Cambridge on Maryland’s Eastern Shore have long held a fascination for Rick Abend, a life member, volunteer, and current president of the refuge’s volunteer advocacy group, the Friends of Blackwater NWR. As the National Wildlife Refuge System celebrates its 111th birthday today, Blackwater, like the more than 560 other refuges in the system, needs friends like Abend. Groups like the Friends of Blackwater enable the cash-strapped Refuge System to undertake conservation and education programs they might not otherwise be able to afford. These programs, in turn, introduce a whole new segment of the public to the wonders of nature and the importance of conservation. At Blackwater NWR, projects made possible by the Friends include getting the Dorchester County Public School System’s 4th and 6th graders out to the refuge every year as part of their environmental education studies, constructing a new observation pier on the wheelchair-accessible Marsh Trail, and installing the wildly popular osprey- and eagle-cams, which allow online visitors to share the excitement as the raptors nest, lay eggs, and hatch, raise, and fledge their chicks. “This year, two of the three eggs in the eagle nest hatched, and we’re getting visitors from all over the world watching the chicks on the webcam site,” Abend reports. He expects the osprey cam to be back in operation sometime this month when the birds return to their summer home on the refuge. 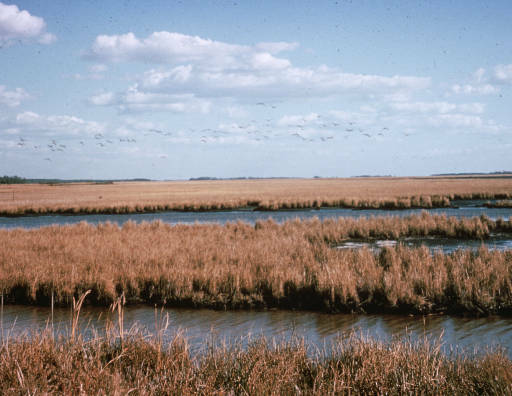 Blackwater National Wildlife Refuge includes more than 27,000 acres of woods and wetlands. Photo: Earl Cunningham, USFWS. A former federal employee, he has been an active member and volunteer in the friends group since moving to his Tree Farm, Abend Hafen (German for “evening haven”) in Dorchester County, Maryland, when he retired in 1997. He employs some of the same wildlife management techniques on his own land that he first saw used on the refuge. “One of my friends calls my place ‘Little Blackwater,'” he laughs. “I’ve always been a strong advocate of conservation education. We do a lot of it here on our Tree Farm. 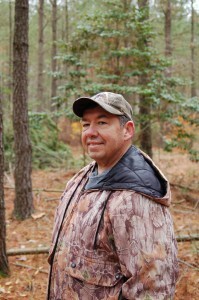 I love being out in the woods and I love bringing other people out in the woods,” he says. His efforts have paid off. 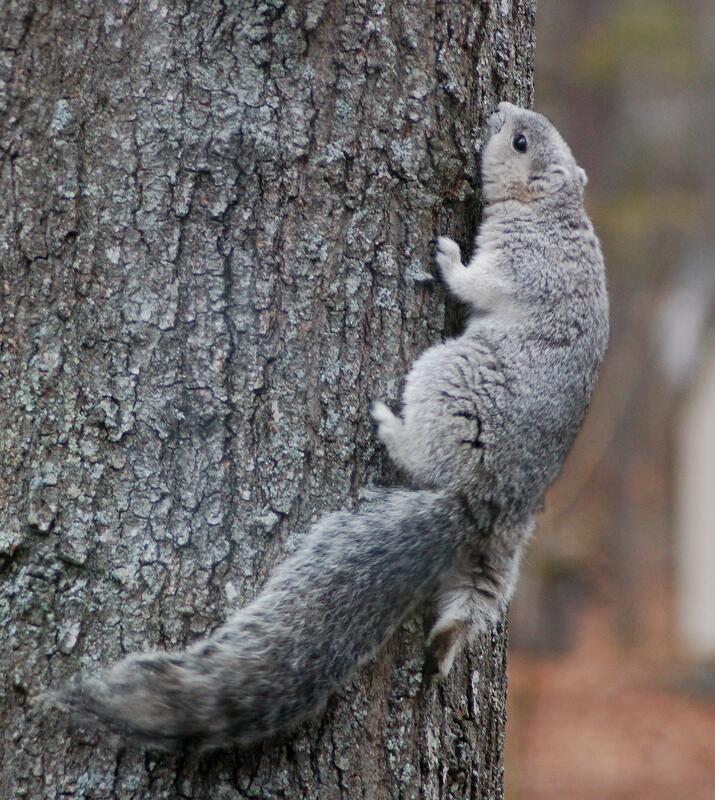 Along with all the other wildlife that call Abend Hafen home, Abend and his wife Kathy have endangered Delmarva fox squirrels living on their land–a testament to the couple’s commitment to conservation, both at home and in their Eastern Shore community. Delmarva fox squirrel at Abend Hafen, Rick Abend’s Tree Farm. Photo: Kathy Abend.